Do you want to reach the next level in sound business? Sound Hub Denmark is a world-class sound and acoustics growth hub for startups, SME’s and corporates. The Sound Hub is business acceleration in a coworking environment with access to excellent sound, craft and test facilities and highly specialized skills from industry-leaders and knowledge institutions. Grow your business by working with soundtech professionals in a collaborative and stimulating work environment. Develop and build your sound product, concept or prototype by using world-class test facilities and workshops at Sound Hub Denmark assisted by the complementary industrial craft cluster. Gain knowledge from coworkers, industry professionals, specialists and researchers within the sound industry and expand your knowledge through research projects, seminars and events. 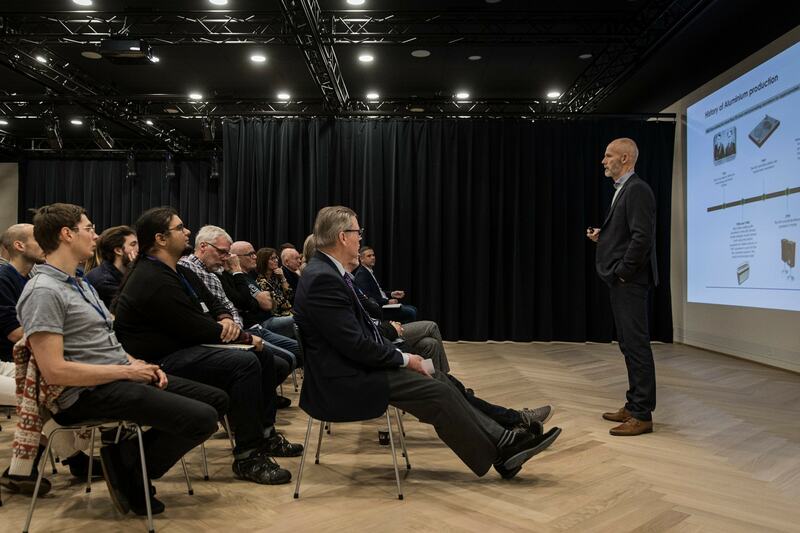 Don’t miss out on news and events from the sound industry and Sound Hub Denmark. Join Sound Hub Denmark, a world-class inspiring sound and acoustics growth environment. Grow your business and meet other sound specialists. The experts pulled in specifically for us, we could kick-start the design for another device in just a few days!